Home › Bible Prophecy › Mideast peace talks to begin this week. But why did Israel approve release of 104 terrorists? Mideast peace talks to begin this week. But why did Israel approve release of 104 terrorists? 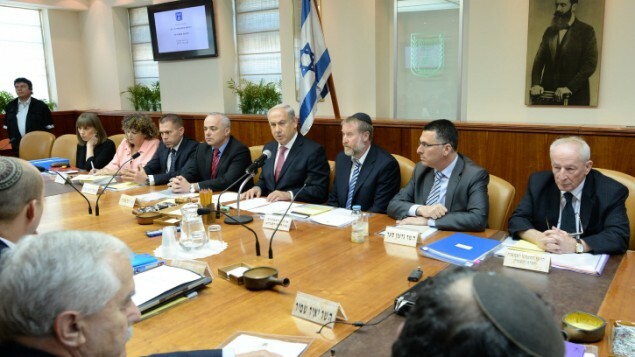 On Sunday, Israel’s cabinet approved the release of 104 Palestinian terrorists. Why? (Washington, D.C.) — A new round of Middle East peace talks are set to begin Monday and Tuesday evenings here in D.C. That’s a hopeful sign. There haven’t been face-to-face negotiations between senior Israeli and Palestinian officials in years. But why are they beginning with the Israelis agreeing to release 104 convicted Palestinian terrorists? Palestinian leader Mahmoud Abbas refused to agree to the talks unless Israel made a big concession. Abbas pressed hard for the release of convicted terrorists as one of those concessions. But why? Do you convince your interlocutors — or the rest of the world — that you really want peace by insisting on the release of Arabs who have murdered Israelis? Hardly. That said, it’s bad enough that Abbas insisted on such a thing, but why exactly did the Israeli government say yes? These are hardened criminals. These are convicted criminals. These are criminals with blood on their hands. Why not agree to a different Abbas demand, like freezing settlement construction for a few months? Or not agree to any preconditions, like Netanyahu has been saying for the last three years? If you’re going to give some ground (and sometimes making a goodwill gesture is wise), why then make the release of 104 terrorists your first priority? I want to see Israelis and Palestinians make peace. I want them to make goodwill gestures towards each other. I want the ice to thaw. But I don’t want to see murderers released. That won’t lead to peace, only to more terrorism. But that’s what Israel just did. Here are the details. “The [Israeli] cabinet paved the way on Sunday for negotiations with the Palestinians to start informally in Washington on Monday, as it voted 13-7 to approve the talks and empower a ministerial committee to release 104 Palestinian prisoners over the next nine months,” reports the Jerusalem Post.